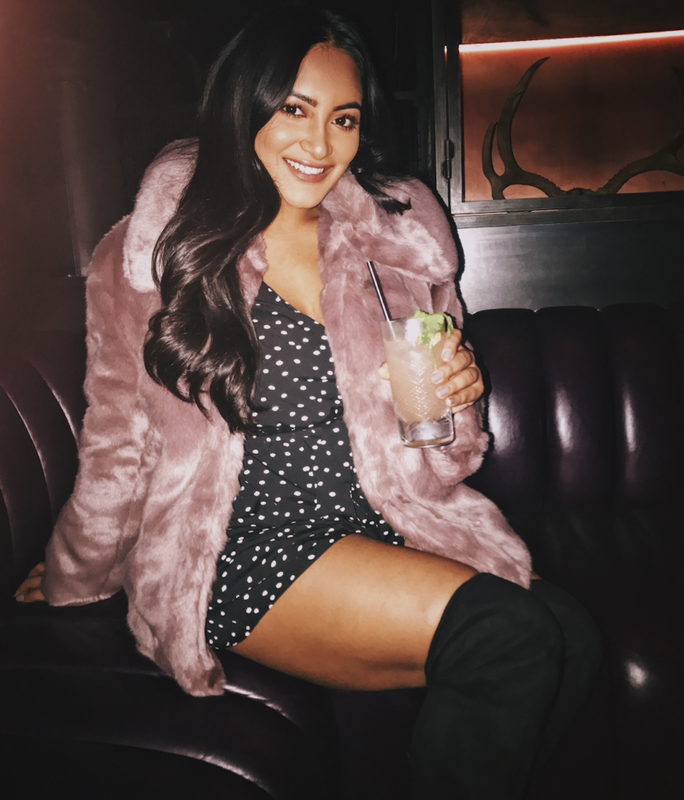 We celebrated my 21st a little late with my dad by going to one of my all time favorite sushi restaurants in Atlanta– Umi Buckhead! (Just typing that out made my mouth water tbh.) Umi has gotten a lot of press in the past couple of years and it is all well deserved! I have not ordered one bad thing off their menu, but I will be telling you all my favorite dishes! 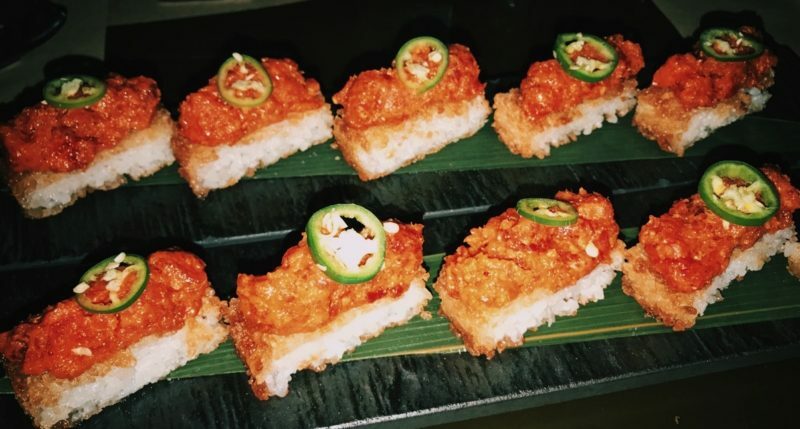 Spicy Tuna Crispy Rice: This is the first thing I always start off with! It’s very simple yet so so yum! I usually take off the jalepeños because I can’t deal with spice! Also, depending on how many people are at your table, I recommend getting two because there are 4 per plate and boy do they go by fast! (This goes with all of these dishes except for the rolls). Tuna Carpaccio: My dad will always argue with me on this one, but Tuna Carpaccio > Yellowtail Jalapeño any day! 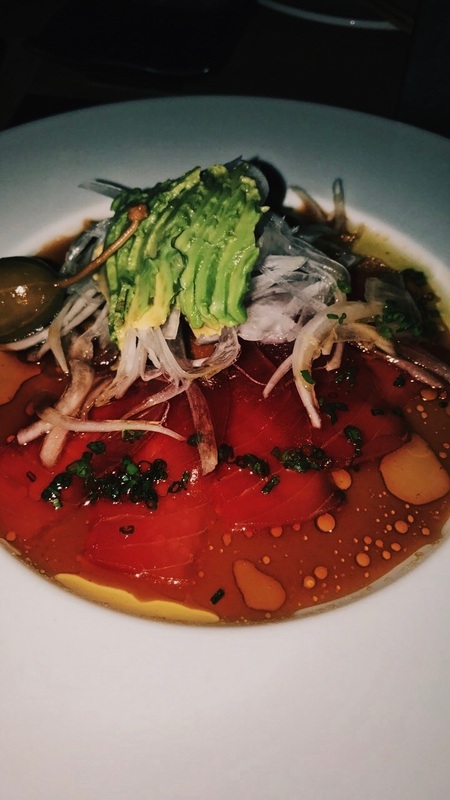 The ponzu sauce that they marinate the tuna in is to die for! Ryan and I always leave this plate spotless! 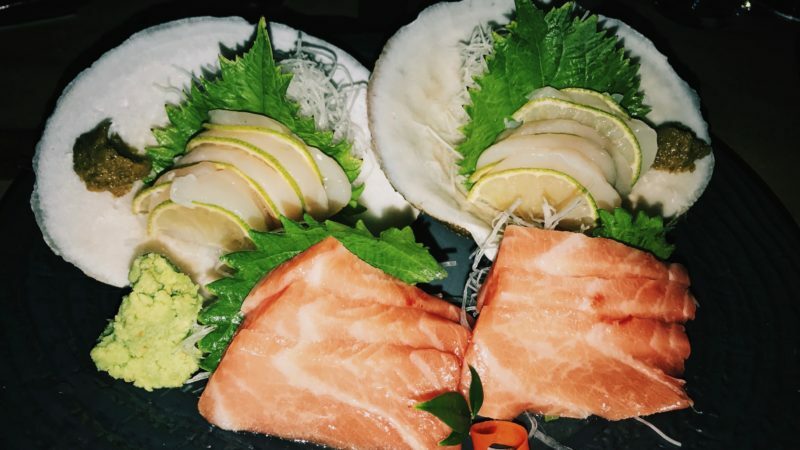 Thinly Sliced Scallops With Lime & Otoro (Fatty Tuna): So this might gross you out a little bit because it is straight up raw fish, but call me crazy, I crave sashimi all the time! The fatty tuna especially because it just melts in your mouth! 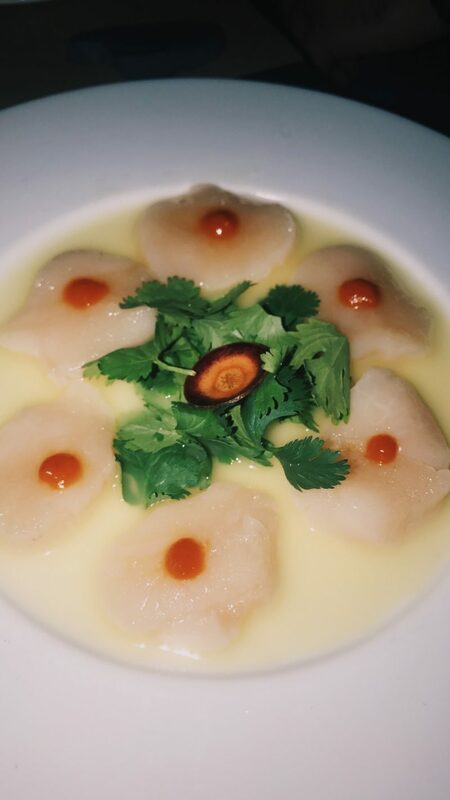 Sugared Scallops: So I don’t know the exact name of this dish on the menu, but if you show the waiter this picture he/ she will probably be able to get it to you! This dish is super interesting because the scallops are soaked in this refreshing marinade and sprinkled with a sugar on top! 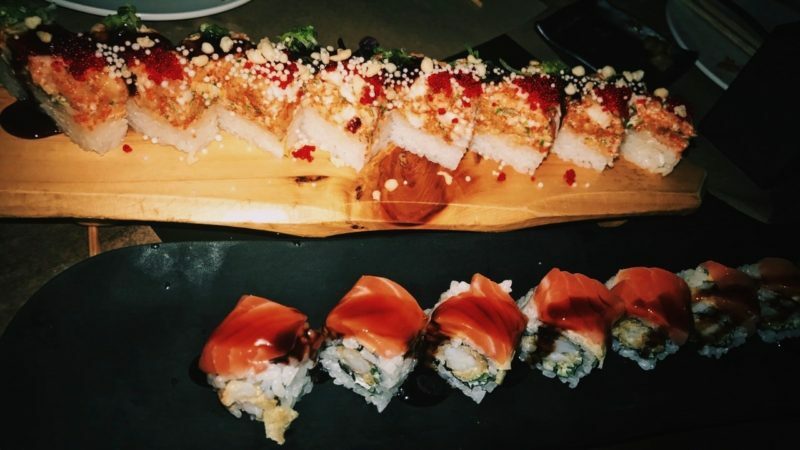 Crunch Lobster Box & New Page Roll: Finally, my favorite sushi rolls are these two beauties, but if I were to pick one, I would pick the New Page Roll which is “shrimp tempura roll topped with paper thin sliced lemon and fresh salmon eel sauce”. I always get spicy mayo and eel sauce on the side for some extra flavor– even though it really doesn’t need it! My dad has been talking about this bar ever since we started going to Umi. This bar is very exclusive and almost has a speakeasy vibe. You have to use an eye scanner to get in so it’s really hard to just get a table for a walk in. The atmosphere definitely gives off a chill a bougie vibe. I also vlogged this whole entire day so click below to watch my late birthday celebration!